It’s early Spring, and we’ve already felt temperatures in the 80’s here in Arizona. 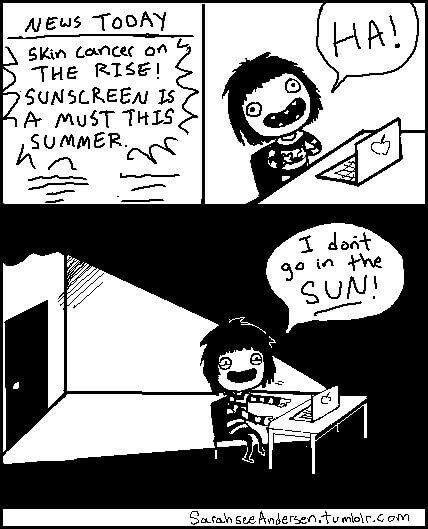 Ugh, summer is coming… dread, dread, dread. Warmer weather does inspire people to do more outdoorsy things. Camping, hiking, beach volleyball, and poolside basking in the sun—all activities in which these people (myself excluded) will be in environments where bottles of wine, or glass of any sort, will be prohibited or strongly frowned upon. These people will need wine in convenient, shatterproof, easy to transport containers. Because people who love to camp and deep fry their skin in the sun (bizarre) still need wine, Santa Julia is here for you. Bonus: They’re very stylish and pretty looking. Santa Julia wines are named after Julia, the daughter of José Zuccardi, director of Familia Zuccardi Winery in Argentina. They’re producing wines using sustainable practices, organically grown grapes, making contributions to protect the environment, as well as contributing to their community. 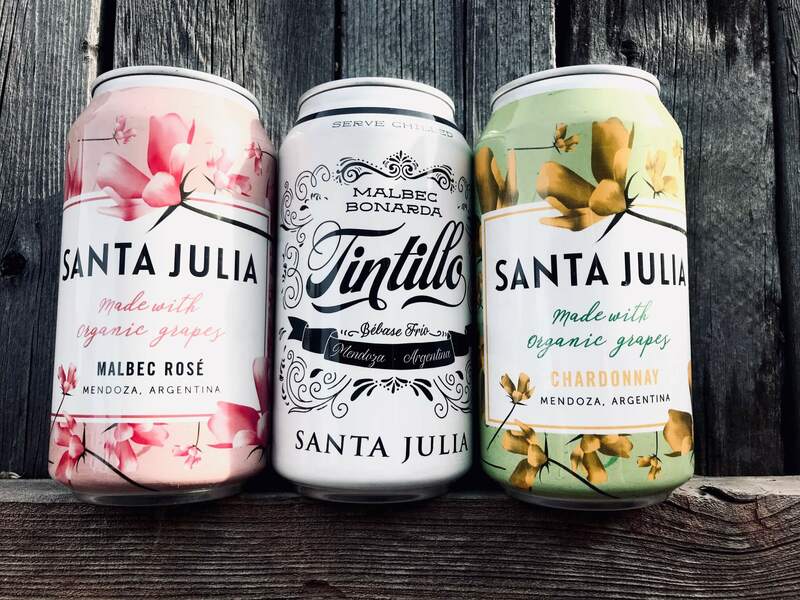 Santa Julia also bottles wines, including a Reserva and Sparkling, but this post highlights three of their canned wines. All retail for $5.99 per can, and each can contains 375ml, the equivalent of two glasses (or half bottle). They’re perfect and convenient not only for outdoorsy situations, but for those wanting a couple of glasses anytime, anywhere, without having to open a whole bottle. Organic 100% Chardonnay aged in stainless steel creates a brighter, more crisp version than those aged in oak. I actually prefer Chardonnay aged in stainless steel, as oak contributes buttery notes (I know… I’m the only one I know who doesn’t care for butter). Medium-bodied, with aromas of citrus, pineapple, and spring flowers, it’s made with grapes sourced from certified organic Santa Rosa Vineyards. Being organic, portable, affordable, and perfectly pleasant tasting, I can absolutely see the appeal and convenience of canned wine. 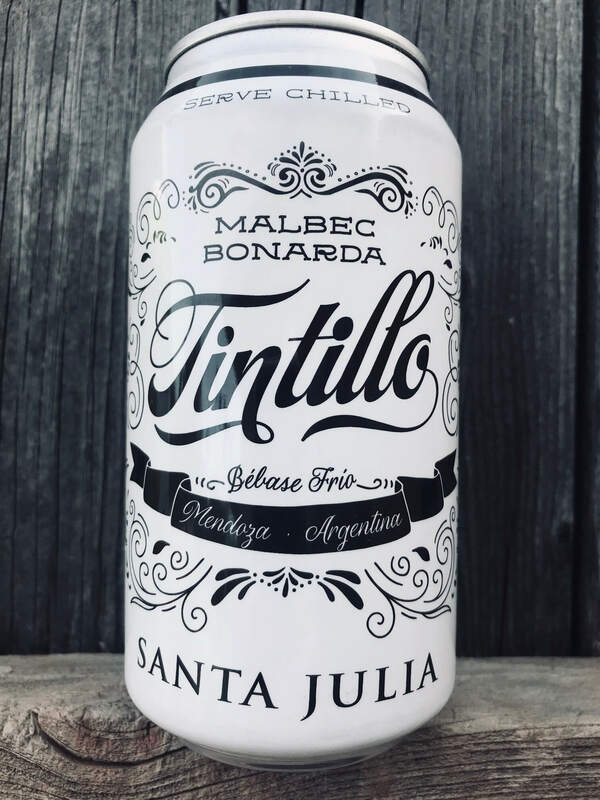 Tintillo is made from 50% Malbec and 50% Bonarda. The can says to serve chilled, which may be in conflict with what we’ve been taught about red wine being served at room temperature. However, this one would ideally be stored and enjoyed at 46-56°F—so, not completely cold like a sparkling wine, but cooler than the average recommended “room temperature” red at ~65°F (most people drink red wine too warm!). This Malbec blend isn’t amazingly complex, but it’s not supposed to be. It’s made by using carbonic maceration—a winemaking technique making it taste lighter, and with less tannins. I thought it had nice tart adicity, and was deep red/purple, nearly opaque in the glass. It’s created to be an easy-drinker and enjoyed chilled, right away. At your casual get together, no one will complain about this canned Malbec! It’ll also pair with just about anything, from BBQ to salads. 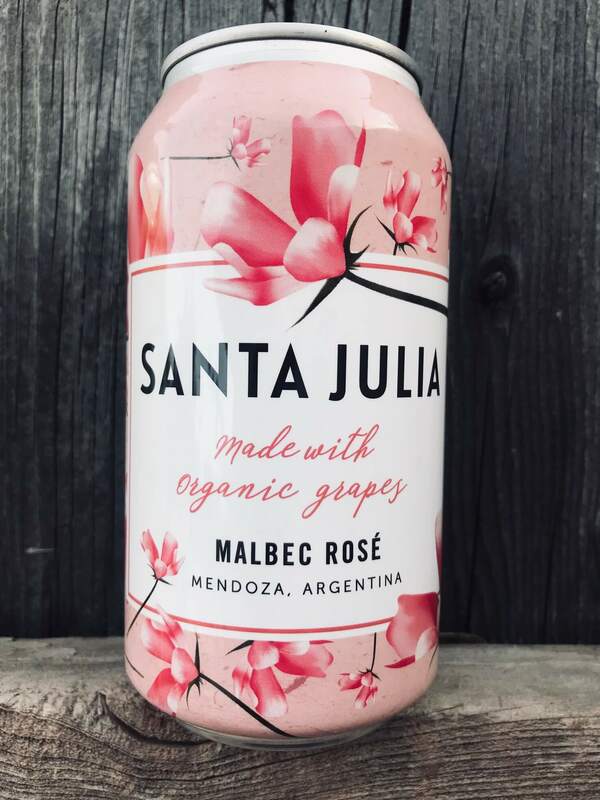 Rosé made with 100% organic Malbec not only comes in a pretty can, it’s just as good as any rosé in this price range. Why not purchase a bottle of $12 rosé and do a comparison? Wine challenge/idea: Put both wines in identical glasses, chilled to the same temperature, and do a blind taste test! Fermented in stainless steel using organic grapes from Santa Rosa and Maipu Vineyards, it’s dry, and red fruit forward. Ultra pale watermelon in the glass, it truly tasted better than I expected it to. Your friends who love light bodied rosé will be happy with this. I can also see these wines being used for spring and summer outdoor bridal showers and parties because they’re so pretty. 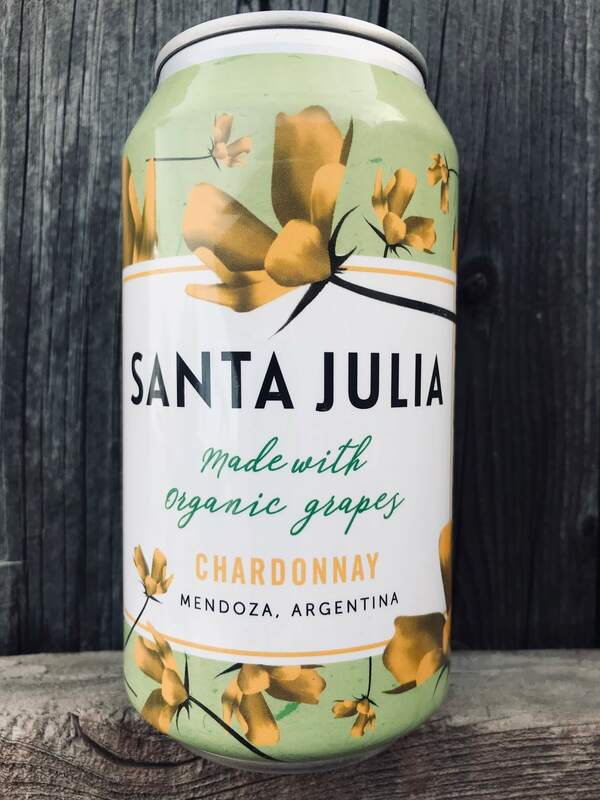 There’s a time and place for exclusive, expensive bottles with natural cork, but there’s also a place for casual, affordable organic wines in glass-free packaging like these canned gems from Santa Julia. If you try any of these, let me know what you think! “We’ve seen a tremendous increase in demand for quality, organic wines that are attainable for the everyday drinker.” ~Adam Sager of Winesellers, Ltd. Thanks to Holly at Winesellers, Ltd. for the samples. I loved trying these wines! *All opinions are my own. Cheers!